Download and save your session reports and recordings. The data and recordings from your support sessions is accessible online through your RescueAssist account. 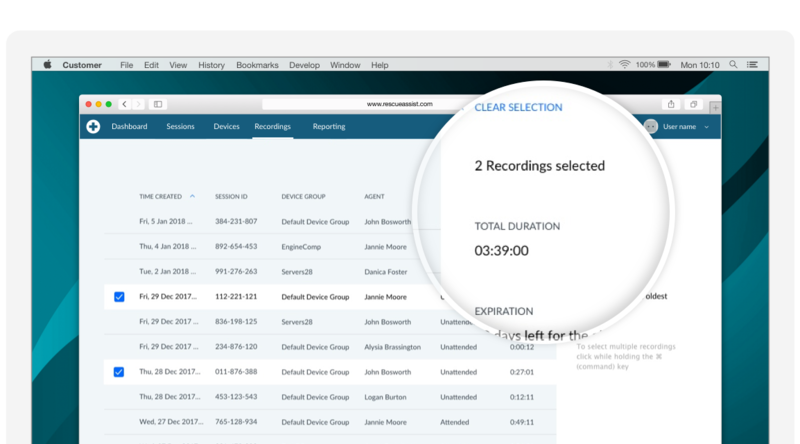 You can pull data from support sessions up to a year afterwards, and recordings are available for 90 days. If company policy requires you to maintain long-term records, you can easily download both to your local storage, on-premise data arching. Export reports and save recordings. 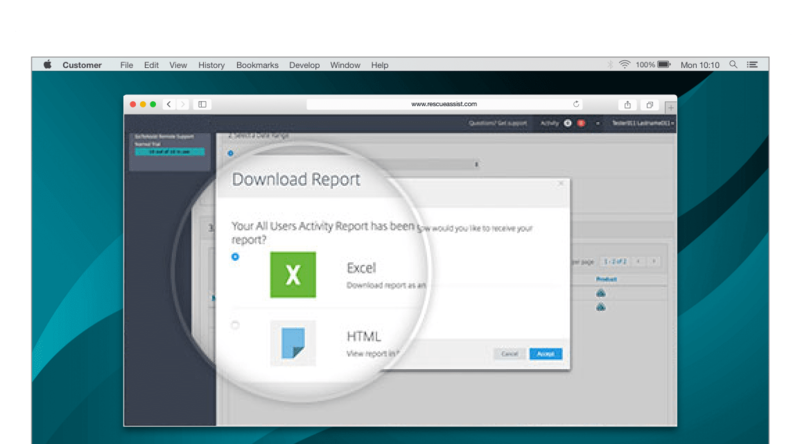 For sessions that took place up to a year ago, you can run Custom Reports to quickly access the data. You can check these reports online or export them in a number of different formats, including PDF, XLS and CSV. And if you’ve enabled session recordings, you can simply download the screen-sharing videos as MPEG-4 files for future review.